O'er the fields we go, barking all the way. (If you know doxies, you totally get this.) 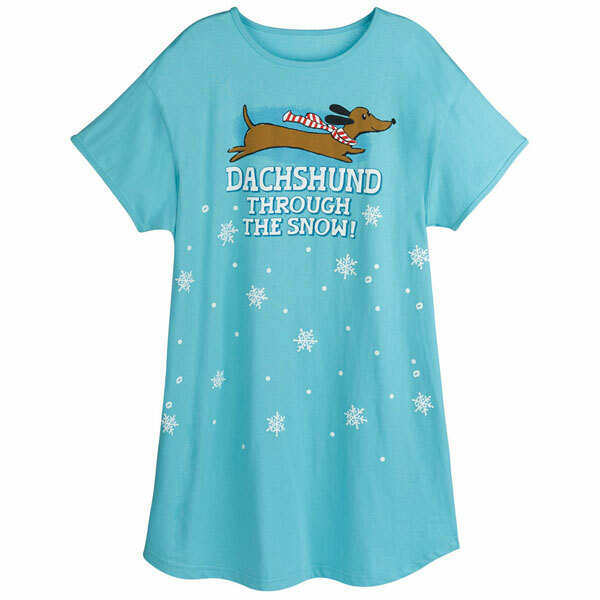 Light blue nightshirt is 100% cotton. One size fits most. Hangs 36". Imported.